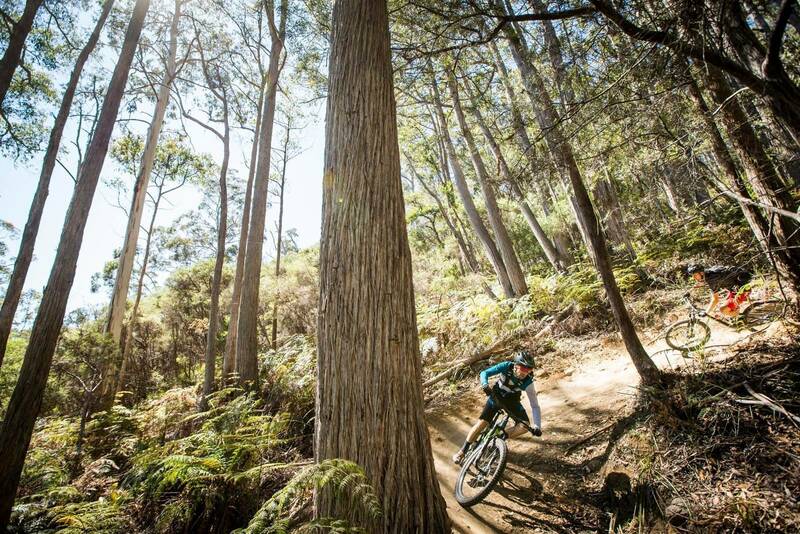 We took a spin on the EWS trails at Blue Derby to see how that's all part of the mountain bike wonderland in Tasmania. 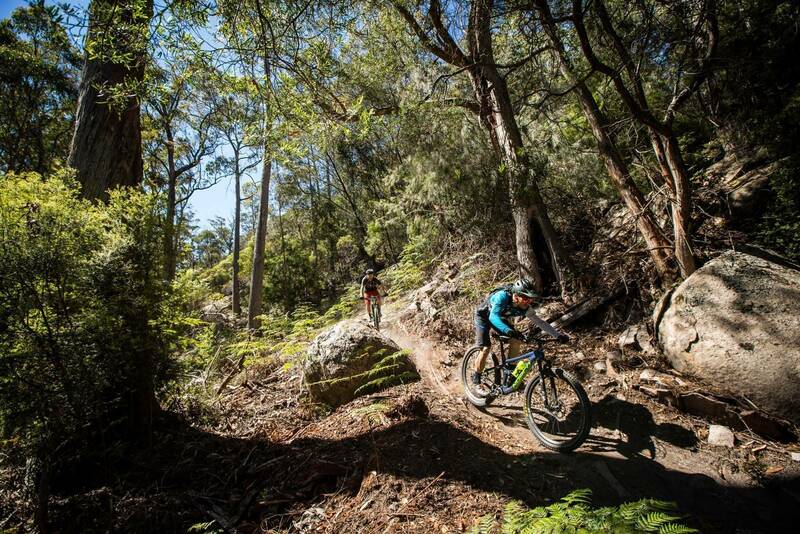 Do you know someone who has been to Blue Derby, come home and raved about the trails? 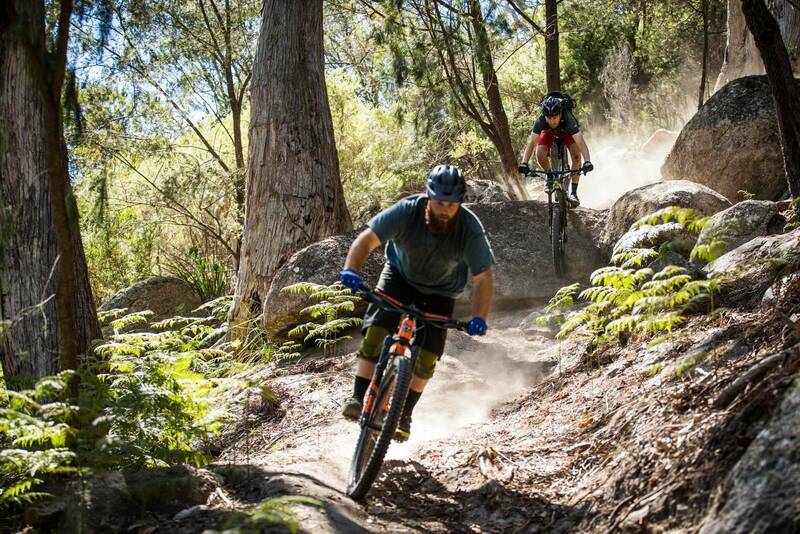 Chances are someone in your group of friends and riding buddies has made the trip to Tasmania's north-east and come home impressed with the quality of the trails, the beauty of the location and the amount of fun they had when they visited. I've been 5 times now, and that's exactly how I've felt each time – with each visit it is clear how well the trails are settling into their surrounds. It's not just the forest that is growing up around the edges of the trails – but the town of Derby itself. My first visit in February 2015 showed that the master plan of having mountain bike trails reviving a town wasn't going to be trumped up. Derby was dying as a town. On my last visit, I met the owner of The Derby Lodge (the first new build in Derby for over 10 years) and there are options to eat beyond 8pm – essential for mountain bikers in summer who like to ride until darkness. 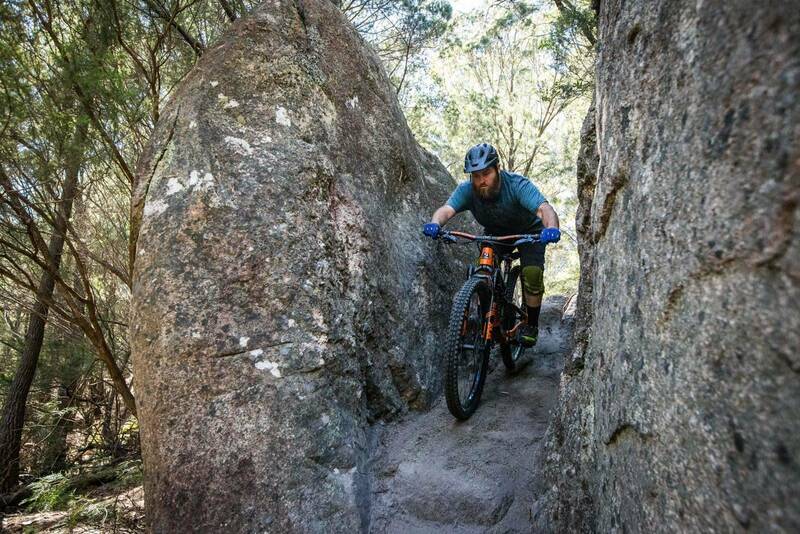 Buck Gibson owns Vertigo MTB Tours and thinks the growth in visits comes down to a couple of basic reasons – including travel time. 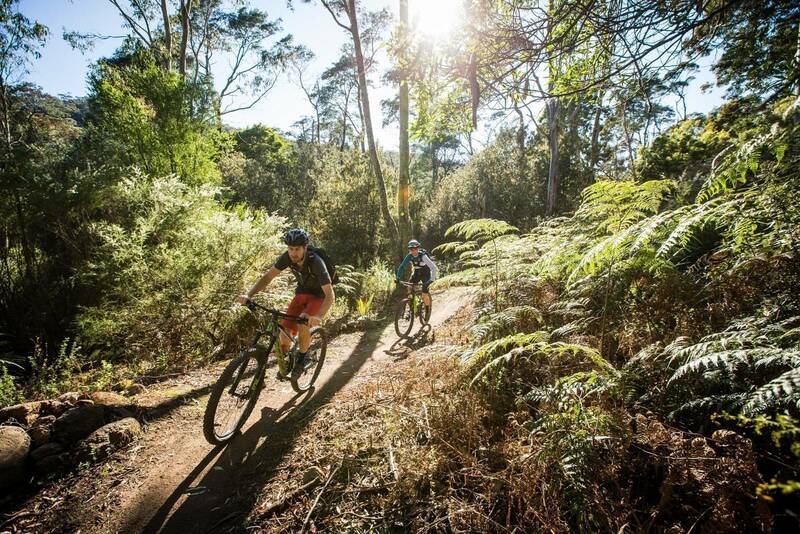 “You could be on a plane at 7am in Sydney and you could be riding the trails here at lunchtime, and that's a big factor, you're not losing a day with travel time. So, Blue Derby's become that long weekend destination, but it packs a punch. 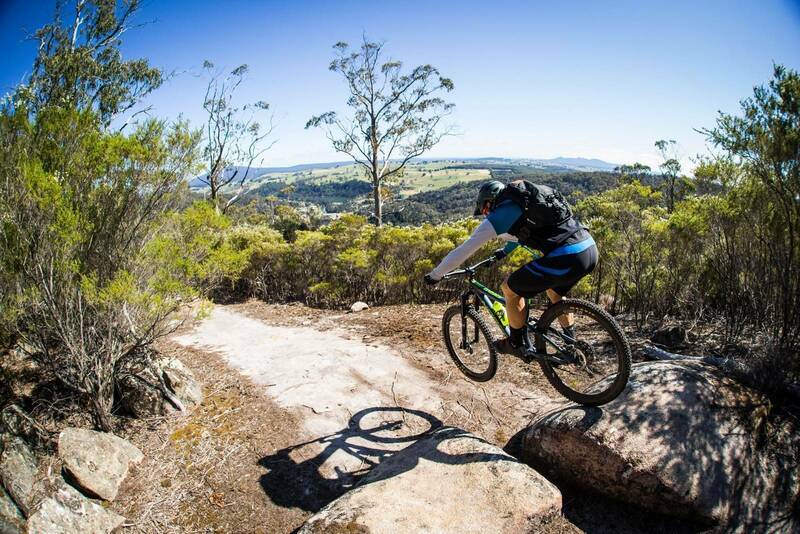 You spend three days riding here, you are going home exhausted.” It sounds silly, but that is probably a faster turn around than driving to Falls Creek or Mt Buller from Sydney, or even Thredbo. And it's not too different coming from Melbourne either, where the flight across is under one hour. I have to ask Buck what the change has been to see this growth – as it wasn't immediate. 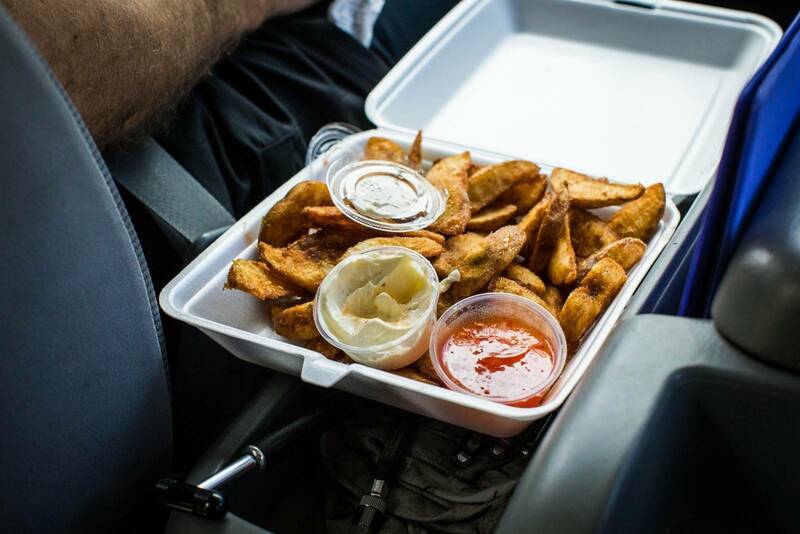 Blue Derby isn't just a curiousity for those from interstate. 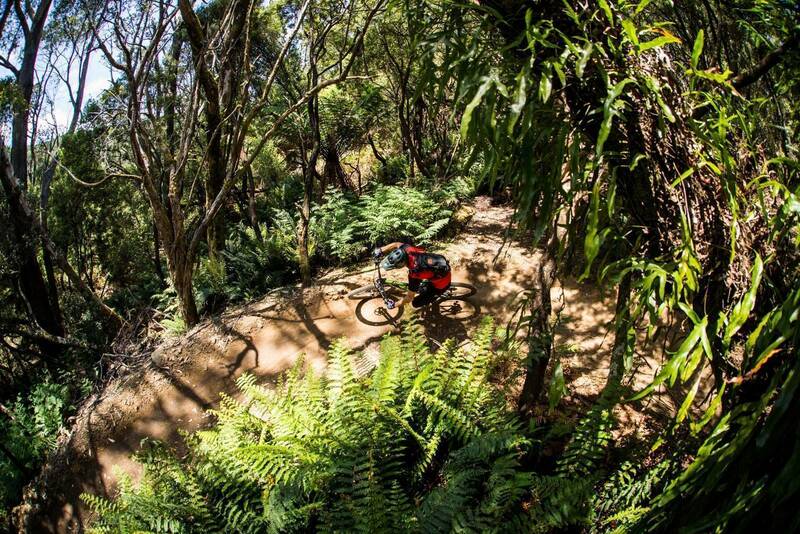 It's a drawcard for any Australian mountain biker given the variety of trails it has. From the new family-friendly trails around the lake, to the classic Blue Derby intermediate trails like Dambusters, Krushka's and Flickity Sticks. Beyond that you have the backcountry trails like Blue Tier and Atlas. 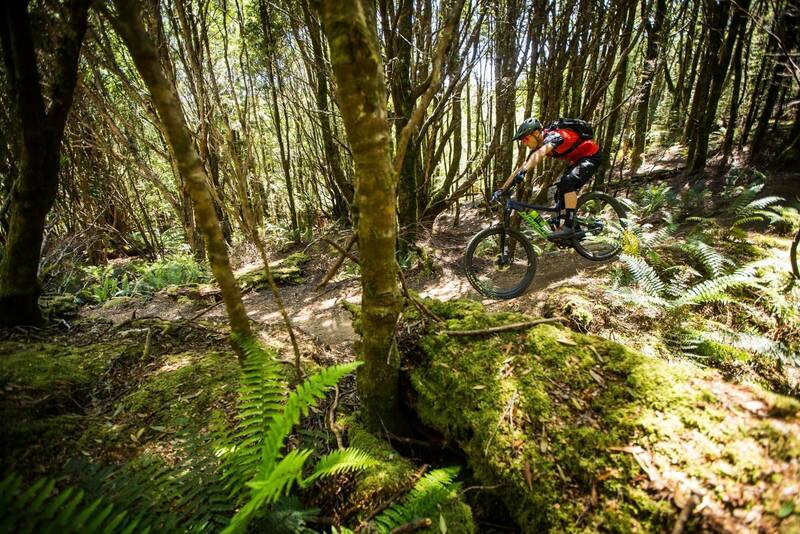 Last year we saw the addition of advanced trails thanks to the Enduro World Series. 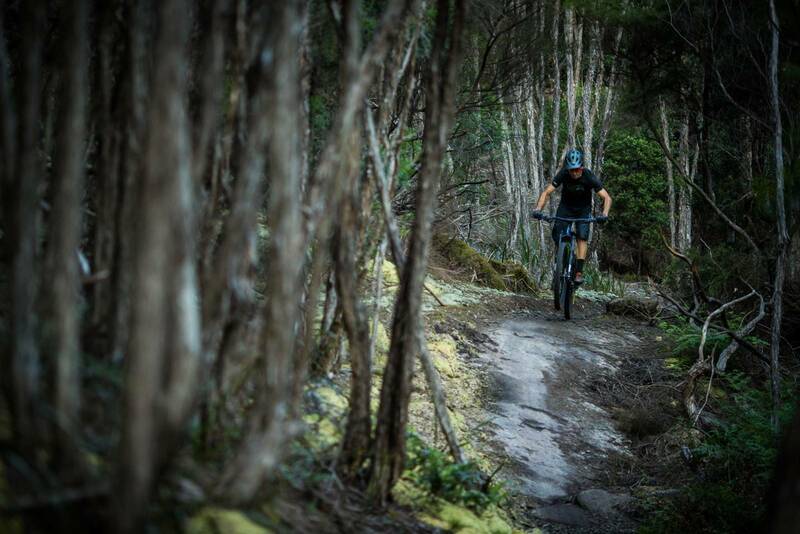 Trails like Shearpin, Trouty and Detonate and more have increased the variety of trails. And Buck Gibson is certain that the new, higher level trails are part of that drawcard. As much of his business involves shuttling riders to the trails used for the EWS – he's the person who would know. 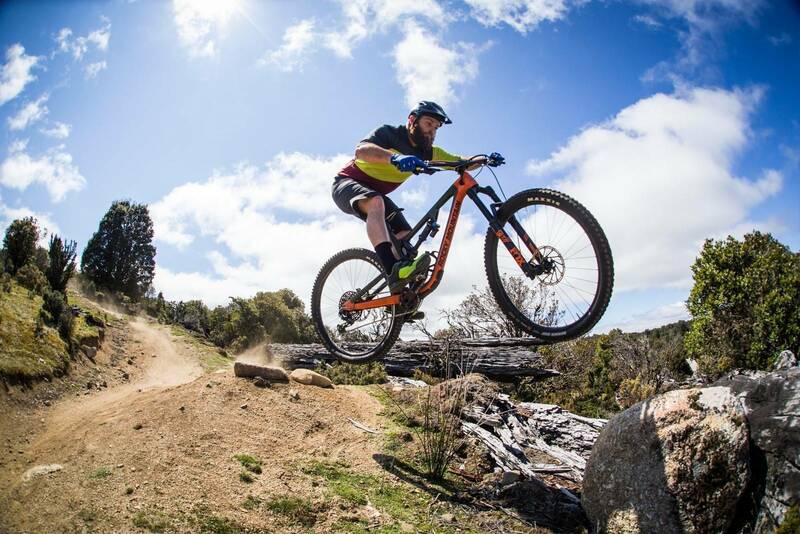 “I think Derby now, especially with the new beginner trail, it's going to have sensational trails that are going to satisfy such a broad range of rider demographics, that's the exciting thing about it. The spread of the appeal of Derby has been incredibly important. There's a case of right place, right time as well. 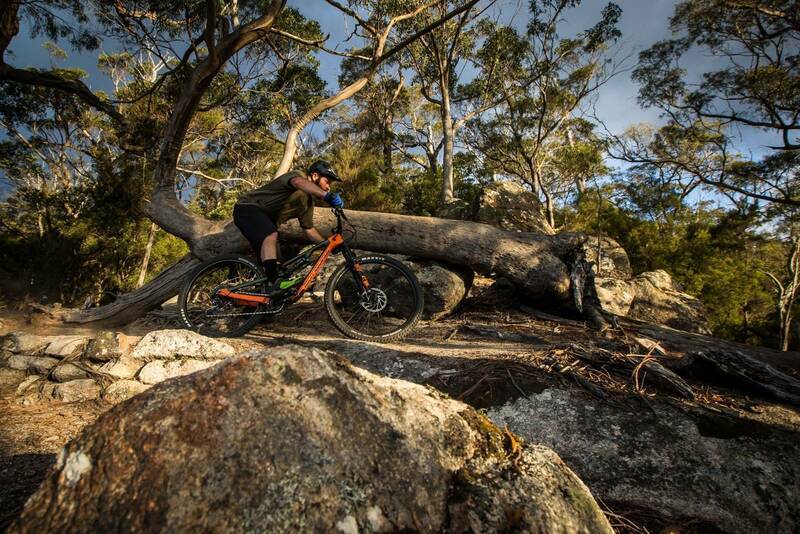 Year on year mountain bike technology continues to improve, and that's letting us all get more out of our riding. Something that isn't missed by Buck when I ask if changes in mountain bike technology have helped the growth in Blue Derby. 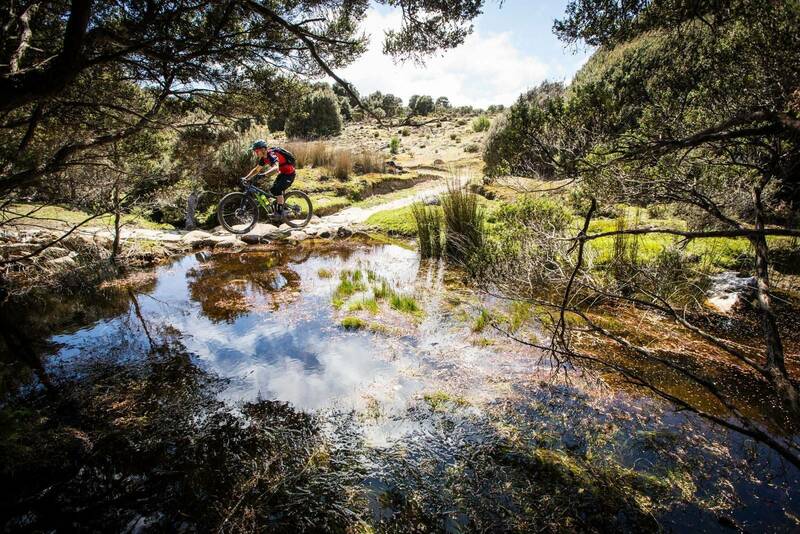 When the EWS landed in Blue Derby last April, a flood of images went across the world. Apologies for the pun, but even in the wet the trails and location meant that the EWS put Blue Derby on the global mountain bike map. A shuttle with Buck is one of the best ways to catch up on what's going on in Derby. 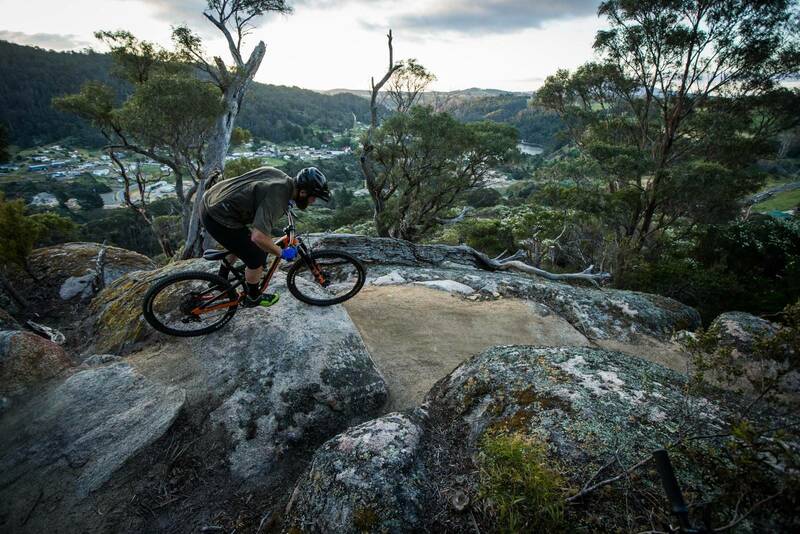 With Maydena Bike Park now open, Buck Gibson is certain that the range of riding options in Tasmania now have even broader appeal – and maybe enough for mountain bikers to look past a trip to New Zealand, and instead to a longer visit in Tasmania – despite the differences in trails and riding between the two. This whole time we've been in one of the Vertigo MTB shuttle buses, with our bikes strapped to the trailer on the coaster bus. Since my last visit the Vertigo MTB service has exploded, with more hire bikes, more vehicles – and more trails serviced. 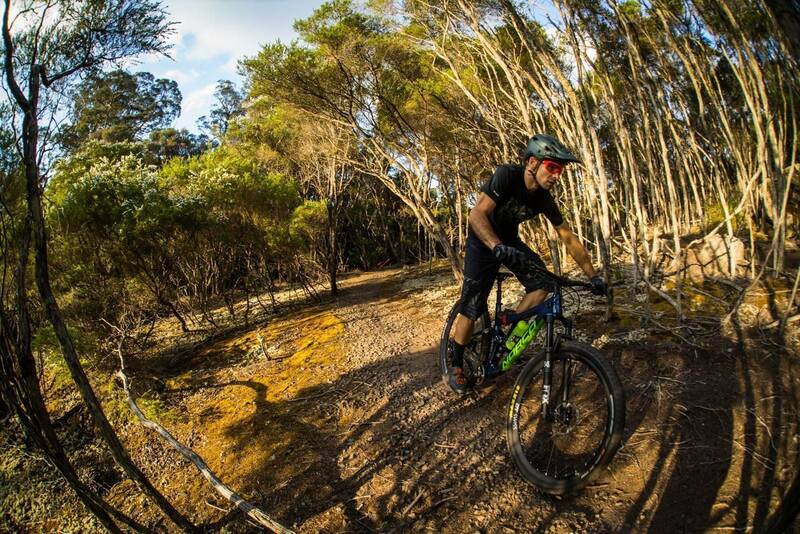 While shuttling Blue Tier and then Atlas is popular for trail riders wanting to get right out of town – it's the Black Stump shuttles that let you access some of the EWS trails. Having ridden much of the Blue Derby network, these are the trails I'm yet to see without the top enduro racers flying down them. Detonate has caught our attention for many reasons. Not only did it win 2017 EWS Trail of the Year (that's out of every trail raced in the whole of 2017) but it looks like the trails goes right through a rock detonated for that very purpose. The boulder that the trail traces a rocky line through is huge – pictures don't do it justice until you stand on top of it, or try to thread the needle going into the slot. 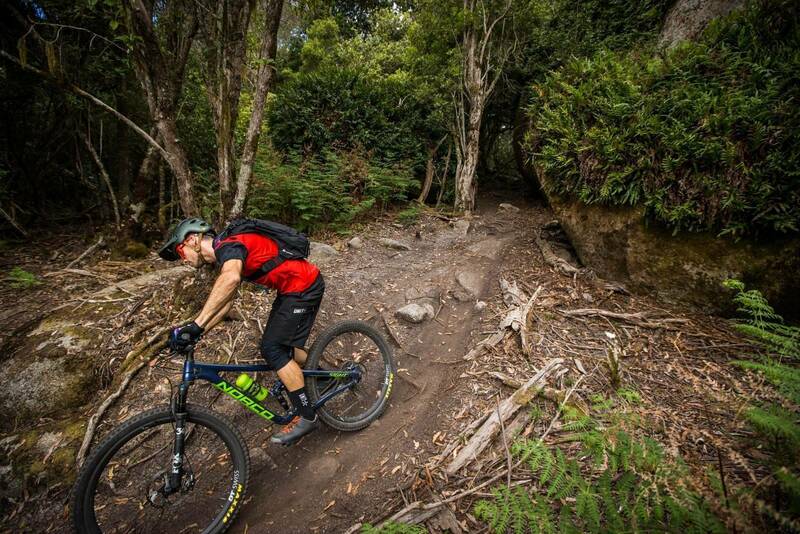 It's more than wide enough for your handlebars, but the rock armouring at the base means you might slip to one side or another, and the result of just one scrub of the handlebars is likely to be disastrous with the drop out of the other side into a loose corner. We saw that happen plenty of times in the race in 2017. Like so many things in mountain biking, images and video don't quite capture the reality, and it's not until you line up the slot that the required precision is glaringly obvious. This is just one small feature on the trail, and compared to many of the other intermediate trails at Blue Derby that's what really stands out on the advanced trails. One feature is rarely in isolation, with demanding sections backed up on top of each other. 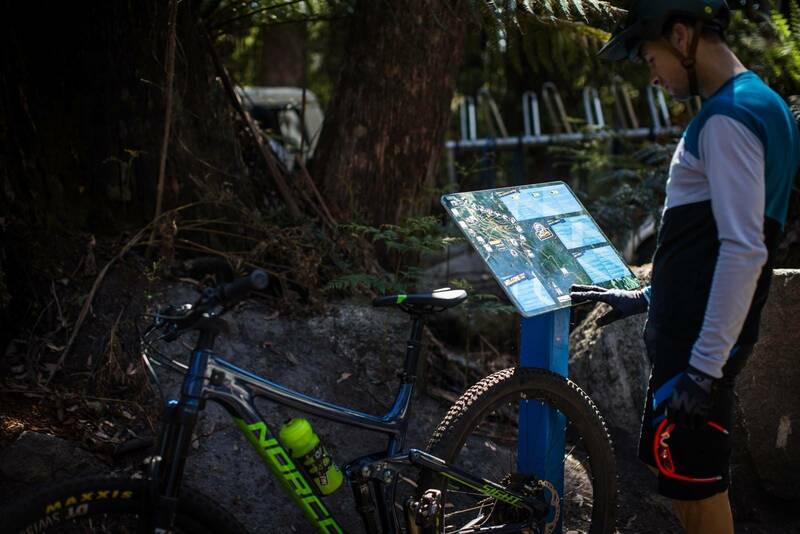 We ride plenty of the trails, using the shuttle service and also using Flickity Sticks to climb back to Black Stump as well. 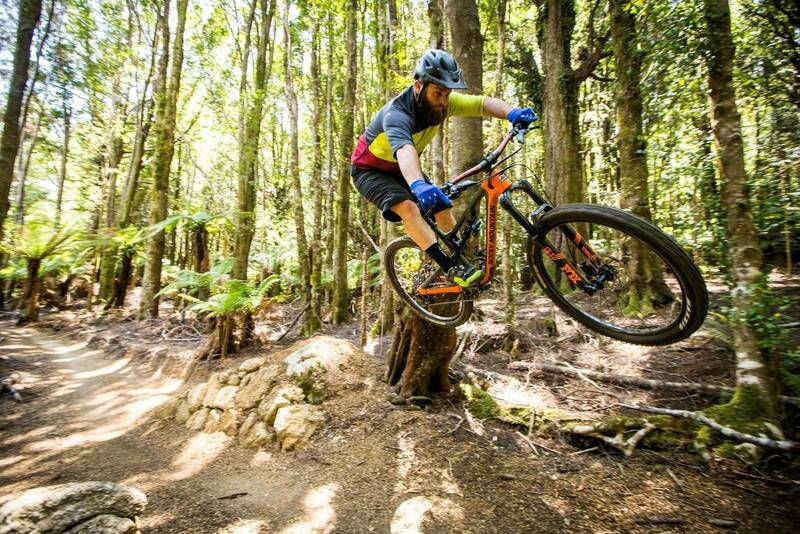 The EWS trails aren't out in isolation, they are embedded into the Blue Derby network which really offers a lot of choice when visiting with a group of mates with diverse abilities. Late in the day we did one more trail before making our way to The Hub for a pizza and beer. If you have seen a feature from Blue Derby you have seen the trout – and Trouty is one of the best trails to finish on. It looks over the tiny township of Derby, and it's selection of committing features comes right at the end after some small drops and a high speed rock slab. The corners are steep and sharp, and the rock rolls feel close to vertical (but they're not!). It's the perfect finish to a ride and as we wash down some woodfired pizza with refreshing beverages it's amazing to think that even two years earlier much of this wasn't possible. Blue Derby has come of age and it's the EWS that finally pushed it there. Bring on 2019! You're not short on options now, but we stayed at The Cedar House, right above Vertigo MTB. With 3 bedrooms, a big kitchen and living area, bike wash facilities and secure storage and some tools – the place is well setup for mountain bikers. Do I need to take my bike? No. 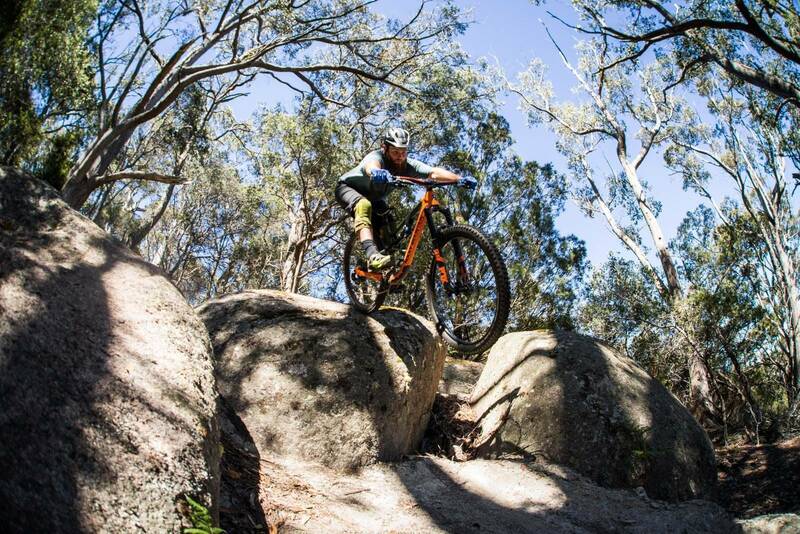 Vertigo MTB hire bikes starting at $99 per day but getting cheaper per day on longer hires. Depending where you're flying from or who you're flying with this can save a whole lot of hassle for a weekend or long weekend visit! Don't forget to book ahead – likewise for shuttles or group bookings. A highly varied mountain bike experience! You're well away from any hustle and bustle, and once out of the hamlet of Derby you're ensconced in the forest. Take the right gear to spend some time on the bike – a way to carry water and food, and a jacket incase the weather changes. Chances are you won't want to head back to your accommodation if you don't have to.